This page is intended to help you and your child know what to expect on the day or their procedure at SurgEase. Children often have fears about unfamiliar experiences. 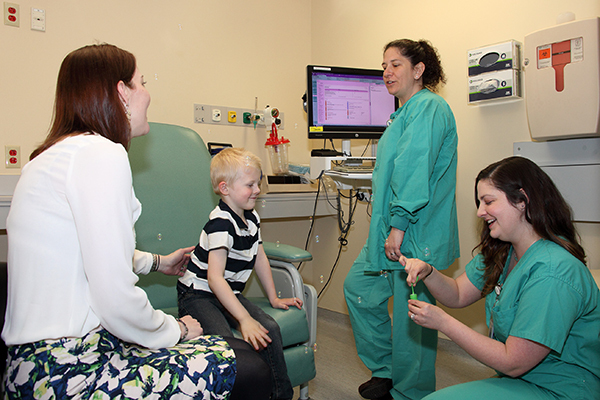 Explaining what they may encounter in the medical environment using language that children can easily understand may help ease their fears. Your child’s age, development and past experiences shape their understanding of and responses to the world around them. 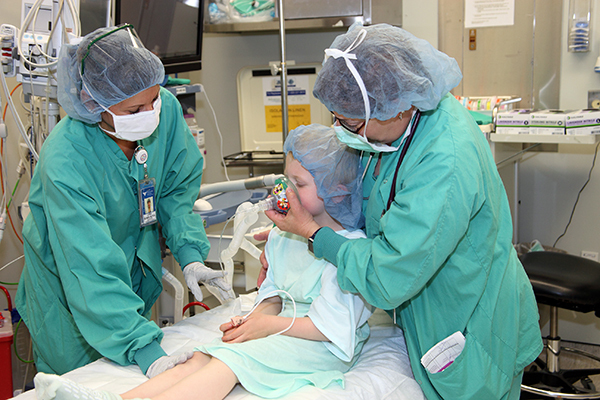 Our SurgEase Child Life specialist can increase their comfort during their perioperative experience. 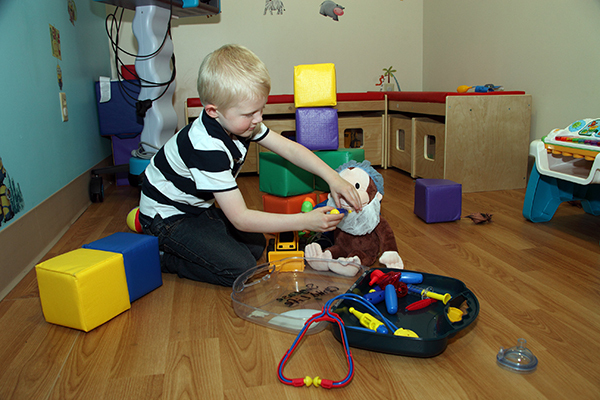 A Child Life specialist holds a national certification and an advanced degree focusing on child development and the impact of the hospital environment on children and families. 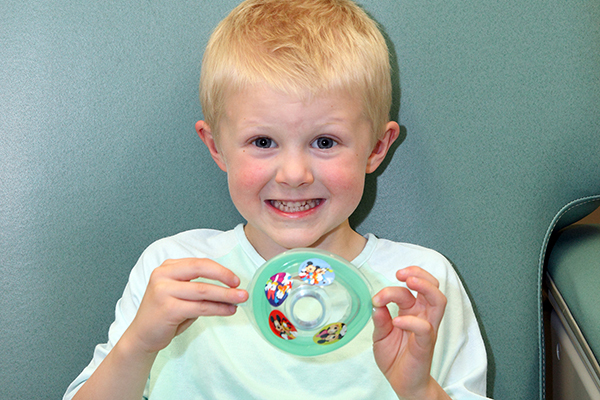 Child Life specialists will engage children in therapeutic medical play to increase their understanding of the sights and sounds they may experience during their visit to SurgEase. 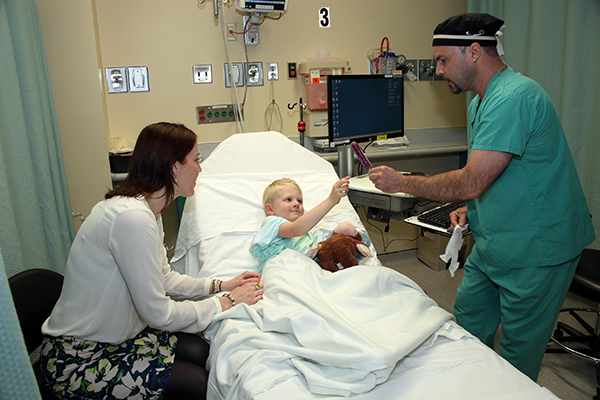 Research has shown that when children are prepared for upcoming procedures, they have less preoperative anxiety and better outcomes after surgery. 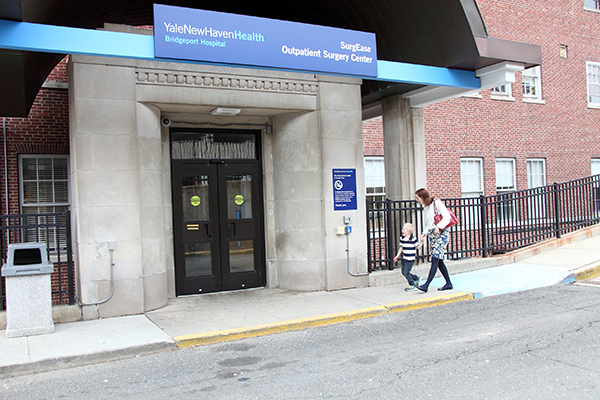 For Parents and Caregivers: This virtual tour is designed to help you and your child know what to expect when you arrive at Bridgeport Hospital’s SurgEase. We hope this presentation can help your child feel more comfortable with their visit by answering some of their questions. Knowing that you will be taking a trip to the hospital make you feel nervous, but learning to expect when you visit may help you feel more relaxed. 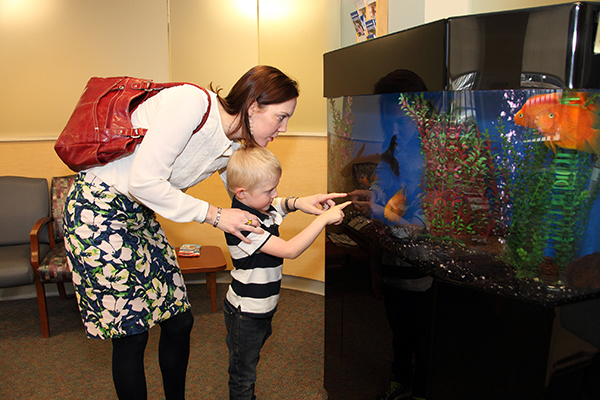 Kids visit the hospital for many different reasons. Can you say in your own words why you are visiting the hospital? It is important that your stomach is completely empty on the day you come to visit the hospital. When you come to visit, you will meet the Child Life specialist who will help you learn more about why this is so important. 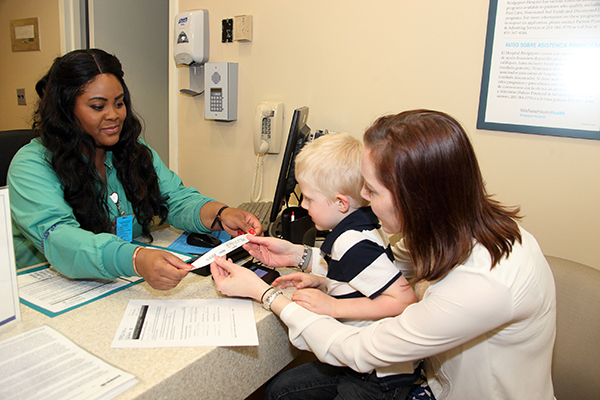 When you get Bridgeport Hospital, your grownup will check you in at the desk. You will get a special bracelet to wear. Once you get your bracelet you can wait in the playroom until it’s your turn. When it is your turn, a nurse will call you into the pre-op area. 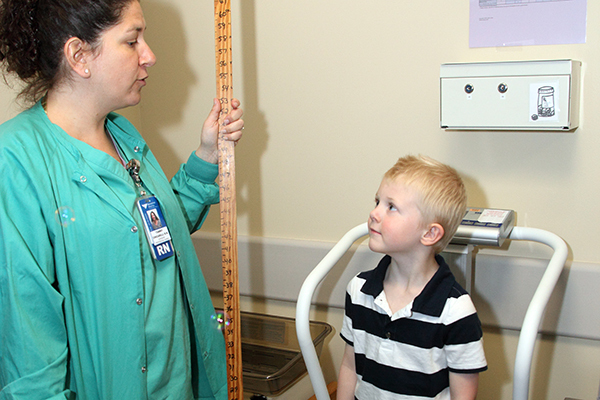 The nurse will take your temperature, find out how much you weigh and measure to see how tall you are just like at the doctor’s office. In the pre-op room, your nurse and your doctor will talk with you and your grownup about why you are visiting the hospital. What questions do you have for the nurse and your doctor? Your nurse will also give you some hospital pajamas to change into. Anesthesia is a fancy word for “sleepy medicine.” In the pre-op room, you will meet the anesthesiologist, or “sleepy medicine doctor.” They will help you to decide the best way for you to fall asleep. You will also meet a Child Life specialist. She is like a hospital teacher. The Child Life specialist will talk with you some more about how the sleepy medicine works and help answer any other questions you might have. 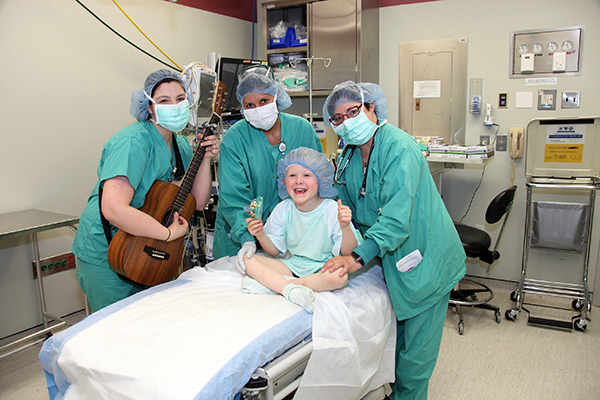 When it is time, you will go into the operating room with the Child Life specialist or one of the nurses. The Child Life specialist may stay with you until you drift off to sleep. You will see your doctors and nurses in the operating room. They are there to make sure that you are comfortable and stay sleeping the whole time your doctor is helping you. Once you wake up, your grownup will meet you in the recovery room. After you rest for a little while, you may have something to eat or drink. Your nurse or doctor will tell you when it is time for you to leave the hospital. 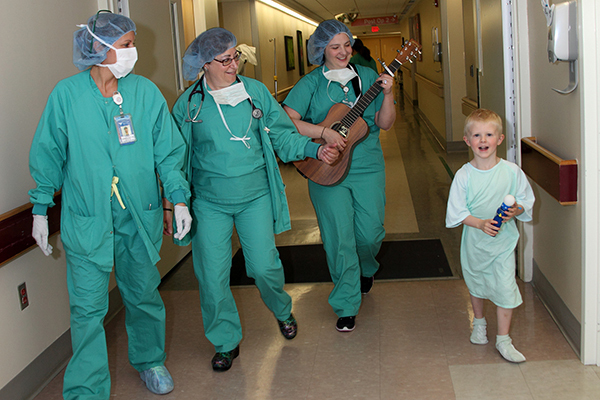 Thank you for viewing our pre-op tour for children. 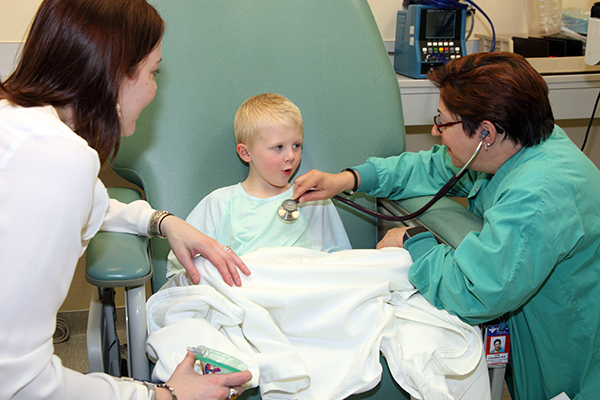 We look forward to meeting you and your child at Bridgeport Hospital SurgEase. 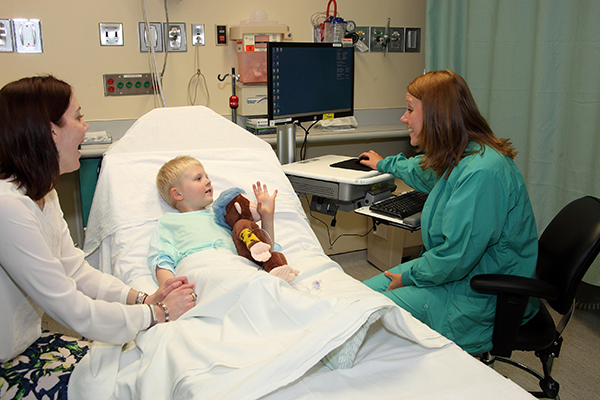 For Grownups: If you have further questions or would like to learn more about scheduling a pre-op tour for your child, please contact Stephanie Brink, Child Life Specialist in SurgEase. 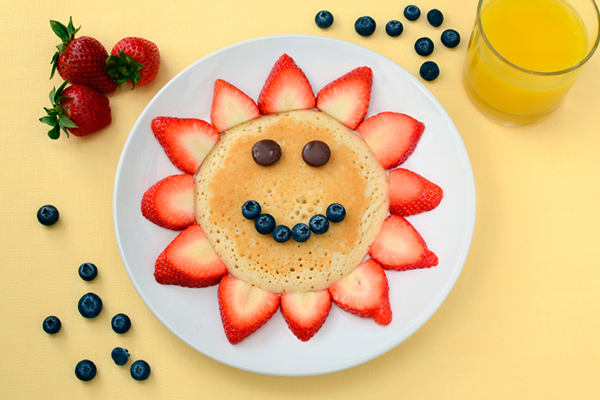 Child Life Services are available from 7 am - 3:30 pm. Please allow 24 hours for Child Life to return your email or call. For more information about Child Life specialist services at SurgEase, please call 203-339-6417.